Interest in the medical marijuana industry is high in North Dakota, Hawaii gets its first (and second) dispensaries, New Jersey ponders expanding qualifying conditions, and more. On Tuesday, the state got its first dispensary. Maui Grown Therapies opened for business on in Kahului. It's the first dispensary in the state to be permitted and open its doors. The store was only open for a couple of hours Tuesday, with the owners saying they were doing a "soft opening." A second dispensary, Aloha Green, was set to open in Oahu on Wednesday. On Monday, a Republican lawmaker said he plans to file a medical marijuana bill to fight opioid overdoses. State Rep. Jim Lucas (R-Seymour) says he plans to file a medical marijuana bill in a bid to combat opioid abuse. He said he was acting after hearing from constituents. "People telling me their personal stories, how they've been helped by this product, how far behind Indiana is on this issue," he told the Indianapolis Star. "That right there, we have a responsibility to at least investigate it and determine the facts, and if there is something positive out there, we have to pursue that." Last Thursday, a panel advised expanding the list of qualifying conditions. The state's Medicinal Marijuana Review Panel said it was ready to approve 43 more qualifying medical conditions for medical marijuana. Among them are chronic pain, migraines, anxiety, opiate-use disorder, arthritis, Alzheimer's disease, autism, and Tourette syndrome. But it's not a done deal yet -- there's a two month public comment period now, and the state health commissioner makes the final decision, after that. Last Wednesday, state officials reported heavy interest in the medical marijuana industry. The Health Department's medical marijuana division reported that it has received 97 nonbinding letters of intent from potential medical marijuana producers. The level of interest exceeded the division's expectations, and should mean that all areas of the state will have dispensaries, the division predicted. The Health Department is looking to name final selections by November, and is eyeing a late spring or early summer timeline for dispensary sales to begin. On Monday, a state senator was hoping to see his medical marijuana bill move during the special session. State Sen. Jose Menendez (D-San Antonio) Senate Bill 79 last year, but it hoping it will be taken up during the legislature's special session, which still has 10 days left. 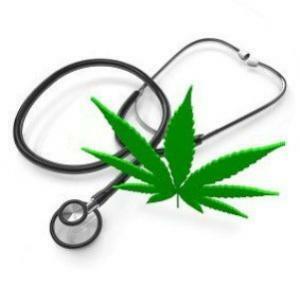 Under current law, only people suffering from intractable epilepsy can use medical marijuana. This bill would expand the list of qualifying conditions to include PTSD, cancer, traumatic brain injury, and other "debilitating conditions."